Ground pork sausage and ground beef team up in these tasty stovetop barbecue burgers. 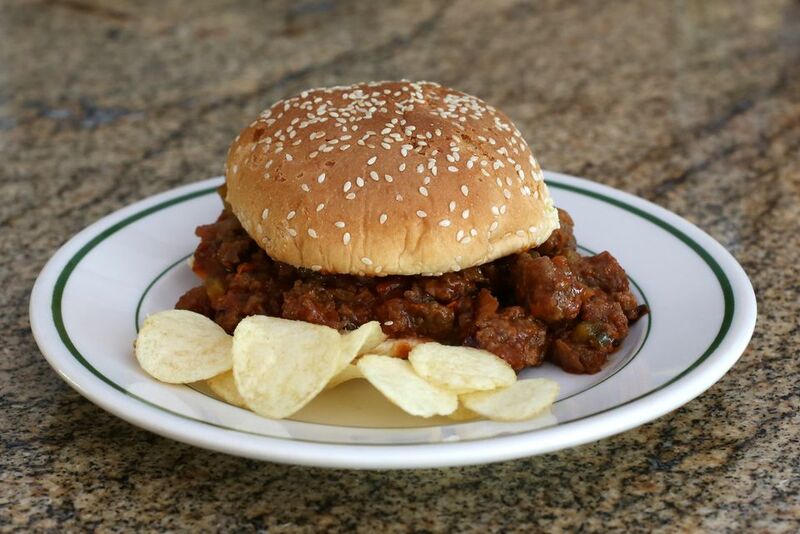 These are similar to sloppy Joes, but with barbecue flavor. For a party or game day event, put the cooked mixture in the slow cooker to keep warm for serving. This beefy combo makes an excellent dish for tailgating or to take along to a potluck dinner. Coleslaw, potato salad, chips, roasted potatoes, and fries all go well with the sandwiches. Crumble the ground sausage into a Dutch oven or large skillet or saute pan. Cook the sausage for about 5 minutes, or until browned; remove to paper towels. Drain and discard the drippings and add the ground beef to the pan. Cook the beef until it is no longer pink, or about 5 minutes. Remove ground beef to paper towels. Drain off all but a few teaspoons of the pan drippings; add the onion and celery and saute until softened. Return sausage and ground beef to pan; stir in chili sauce, tomato sauce, water, mustard, Worcestershire sauce, seasoned salt, and pepper. Simmer, uncovered, stirring frequently, for about 30 minutes, or until thickened. Taste and add extra seasoned salt, if needed. Sve the sloppy mixture over split toasted hamburger buns.